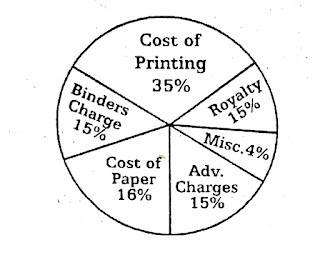 Directions ( 1 – 3 ) : The following graph shows the expenditure incurred in bringing a book by a magazine publisher. 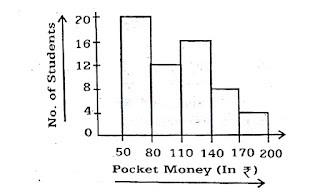 Study the graph and answer these questions. 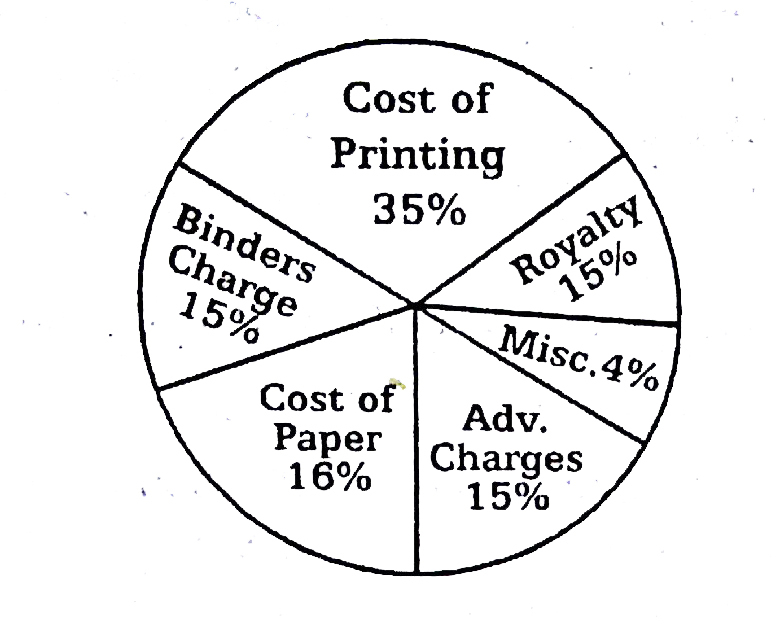 1).What should be the central angle of the sector for the cost of the paper? 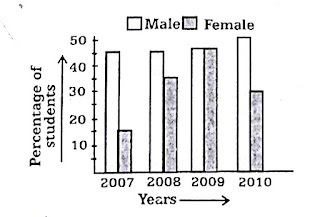 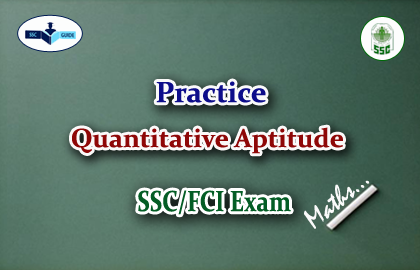 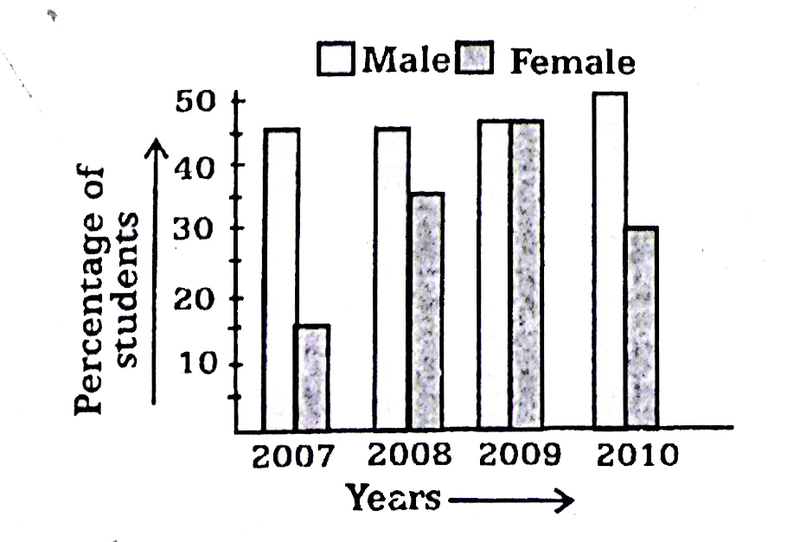 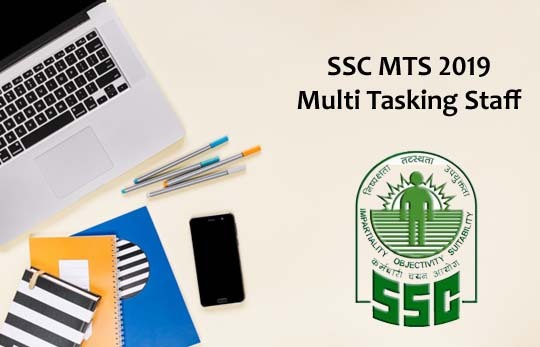 Directions ( 4 – 5 ) : The pass percentage for an examination in a school is shown in the adjoining bar diagram for males and females separately for four years. 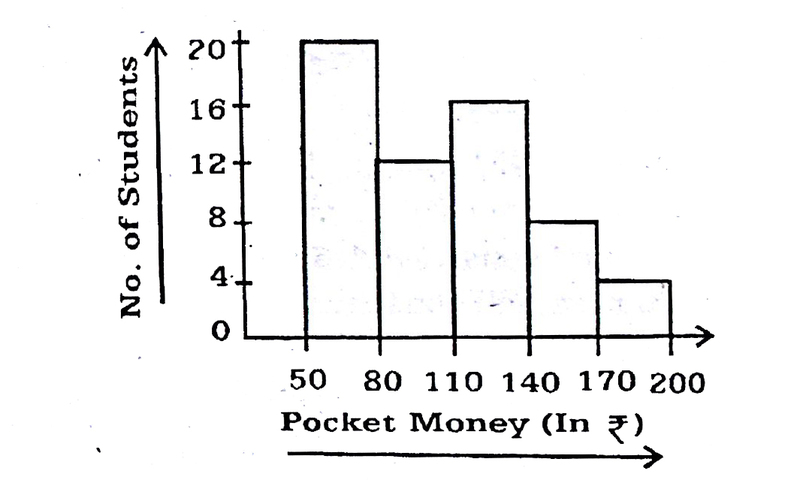 Study the diagram and answer the questions. 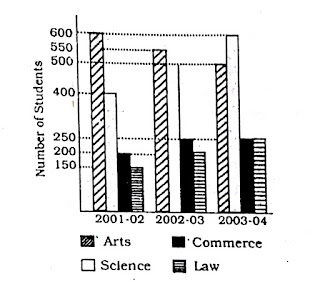 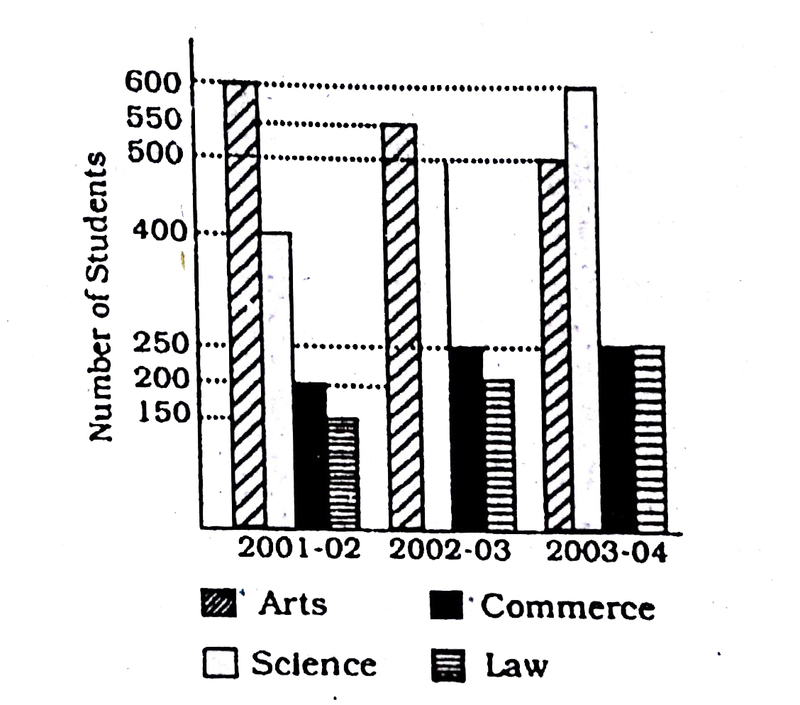 Directions ( 8 – 10 ) : Shown below is the multiple bar diagram depicting the changes in the roll strength of a college in four faculties from 2001 – 02 to 2003 – 04.